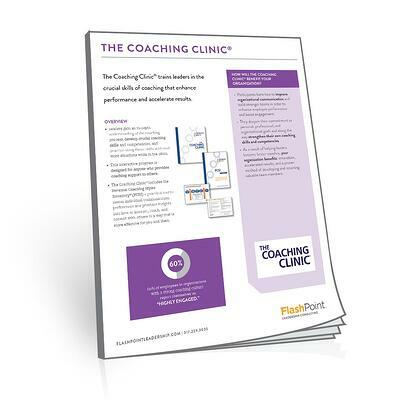 The Coaching Clinic® is an interactive session geared toward anyone who provides coaching to others—including executives, managers, and HR professionals. Leaders gain an in-depth understanding of the coaching process, develop crucial coaching skills and competencies, and practice using those skills with five to seven real work situations while in the clinic. Fill out the form to download an overview of the program. We'll also send you a copy by email.